Have the time of your life in Majorca and book everything you want to do online on sunbonoo. Instead of showing up without a clue, get your tours and excursions in Mallorca sorted out beforehand. You say goodbye to the let-down of trying to book at the last minute and finding out that there’s nothing or little to nothing left. On top of that, by arranging everything way ahead you’ll lessen the chances of overspending abroad. Gone are the days where you get talked into buying stuff to do that wasn't what you had in mind. Sit back and relax on your couch with a cuppa and suss out what’s up your street without lifting more than a finger. On the other hand, with birthdays and anniversaries popping up every five seconds it’s tricky to settle on something; perhaps you’ll come across the perfect present here on sunbonoo. All winter long you count down the days until you go away. Then when the time finally comes, you get off the plane and reality kicks in, you haven’t planned anything, how on earth are you going to spend the next 7,10 or even 14 days in a place where you know no one, nothing and nowhere. Put a stop to screeching kids and whining relatives by keeping everyone sweet and more than anything by keeping everybody busy. Choose from the largest selection of things to do in Mallorca. Steer clear of leaving everything until the last minute by finding out what tours in Mallorca are on offer here before you turn up. We cater to all, so it doesn’t matter if you’re browsing on your phone, tablet or laptop – we’ve got you covered. We live in a world where everything is at your fingertips which includes tours and excursions for your summer holiday too! What’s more, more often than not you save yourself some pennies too since it’s cheaper to book with us than on the spot. It is a small island that packs a lot of punch, there’s something for everyone with water sports like Jet Skiing being a top-pick amongst the thrill seekers and mountain hiking tours in Mallorca being the obvious choice for those who love to keep fit and get closer to nature. Culture vultures get their kicks by going sightseeing in Mallorca where you can seemingly float from one amazing attraction in Mallorca to the next. Castles, caves, tapas and waves mixed in the pot with a good measure of sunshine - there you have the perfect ingredients for a summer holiday! If you’re short on time we recommend the Mallorca Island Tour where you can get around the top spots on the island in a day by boat, train and bus! If you love the mountains and are a speed junkie then a Jeep Safari in Mallorca could be exactly what you’re on the lookout for, you’ll go hurtling through the Tramuntana Mountains like a bat out of hell. Make your way out to sea in Majorca on a catamaran tour and closer than ever to the charming coastline and stop-off for a swim in the inviting water. Mallorca tours and activities are loved by everyone! Get some peace and quiet out at sea and catch the rays. If you love to get a piece of the action, then you’d most likely be up for cranking up the speed on a Quad Tour. You can go dashing through the countryside and experience the off-roading paradise thst make the most of its tropic-like terrain! All the rage these days, hover around on a Segway in Majorca and roll around town in style! There’s quite a lot to do in Mallorca with the little ones. In fact, as the years go by more and more is on offer for families in Mallorca. There’s a lot in the way of water parks like the legendary Hidropark in Alcudia or if you’re staying South perhaps it’d be easier to get to Western Water Park on the outskirts of Magaluf. Let your kids learn how to swim whilst you take it easy at the poolside with a book and some snacks. If your kids are big on animals, they’d likely love a trip to the Aquarium in Palma. To bypass public transport, you could book the transport option instead. 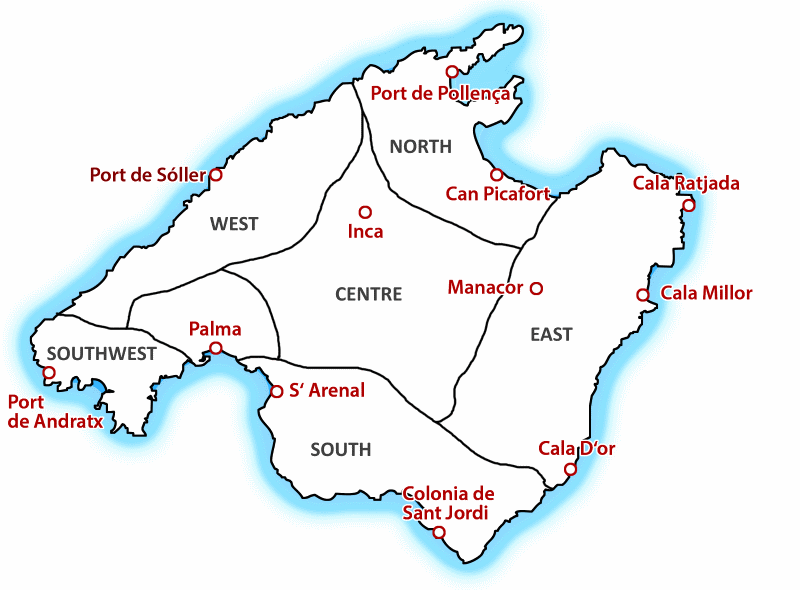 There is also a dolphin park: Marineland and a safari park in Mallorca too! The whole team here at sunbonoo are looking forward to giving you a helping hand in making your holiday in Majorca first-rate from top to bottom.